Enjoy the taste of green apple flavor in your favorite creation all year round. 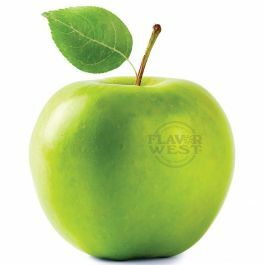 Natural green apple flavor works best in food application that contains liquid, make good jams and jelly, sorbet, waffles, sherbet or ice cream with green apple flavor Type: Green Apple Water Soluble Flavoring. Ingredients: Natural and Artificial Flavoring, Propylene Glycol and Ethanol. USP Kosher Grade Flavoring. Usage Rate: 15-20% for E-use. Flavor suitability: Suitable for pancakes, butter cream, waffles, ice creams, beer, wine, candies and baked treats. Specific Gravity: 1.26 No Refunds on Flavoring.